Not more than 15 minutes after Ross Durant ’51 walked in the door from his honeymoon, the phone rang. He answered the call and found himself talking to James Coulton, his former housemaster and science teacher at UCC, who was phoning to recruit him to teach Sunday school at Timothy Eaton Memorial Church in Toronto. 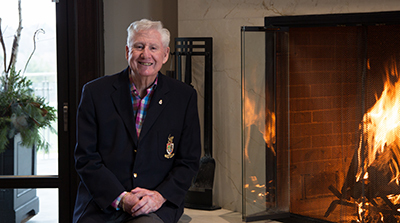 Durant’s strong relationship with Coulton and his family lasted long after the student graduated and went on to Queen’s University and a successful career running the family insurance business and working as a financial adviser. The close family connection endures even though the former teacher has passed away.